Drop on this fixture can be changed to your needs. 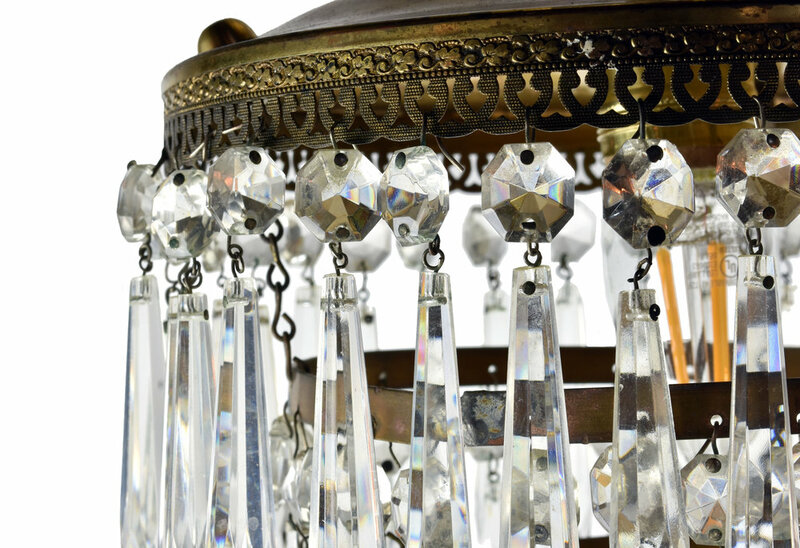 This radiant chandelier features a brass canopy and four tiers of dazzling prisms. Intricately detailed perforated brass banding and a crystal ball finial accentuate the glittering elegance of this chandelier. We find that early antique lighting was designed as objects of art and we treat each fixture with careful attention to preserve original beauty. Our fixtures are cleaned, rewired, and ready to hang, following UL standards. We can work with you on code requirements. Be sure to include the Product ID AA#48081 when making your offer.